Howdy squash pardners. 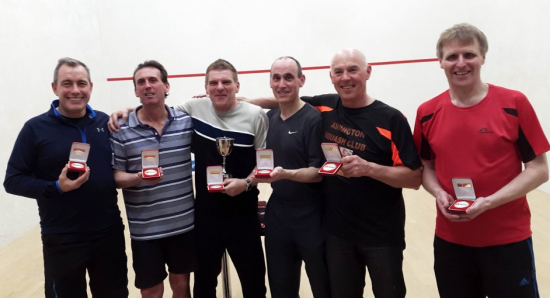 Hey I was at Pontefract last weekend (25th /26th March) watching our local lads in the Finals of the National O-55’s County Competition Event Matches. There were 4 teams in the semi’s – Lankashire vs. A-Von, Suree and us, – Northumbrialand. Our squad was Bryan Beeston, Jonathon Evans, Paul Millingston, Ward Glen, Ron Freebird and Peter Slaughtered. As I mentioned in my Stage 1 report in October and in my follow up narrative in January, I know all the lads personally and I’m glad they’ve started speaking to me again after our little misunderstanding; honestly, I didn’t say they looked like they were ‘pulling caravans’, I said they looked like they were ‘great athletes’. It was just misheard coz it sounds the same. Anyway, look what they gone and did – they only went and won didn’t they! The Northumbrialand O-55’s Title winning line up of Bryan Beeston, Paul Millingston, Ward Glen, Jonathon Evans, Ron Freebird and Peter Slaughtered. So here we go in the semi final against a team they had never played before. It was also the 1st time they had played them so it was going to be interesting. Squash – off order was the same as Stages 1 & 2, – so 3 & 1 on 2 followed by 5 & 4 on 1 unless 1 is free before 2 in which case 3 follows 4 on 1 and 2 follows 1 on 2. Or something. Anyways, Millingston and Freebird were on 1st. Millingston got us off to a good start. His opponent Duncan Marlow tried hard but Millingston’s text book crab like movement around the back of the court confused him and Millo ran out a comfortable 3- 0 winner. I think the front of the court was under repair as they didn’t seem to go there very often. They nearly did, but then they both asked for a let as they were “far too far up the court at our age ref, and me knees are shot”. On the other court Freebird had managed to successfully lose the 1st game with his novel game plan of ‘ambling to the front‘ and ‘general apathy’. However, following a severe rollicking from Ward, to which his reply was about a totally different subject, Ronnie started his comeback. After 3 more hard fought games Freebird won 3-1. We were treated to all the Ronnie-isms – “I don’t believe it”, ‘ I don’t believe that” and “ I don’t believe this”. He didn’t believe much. 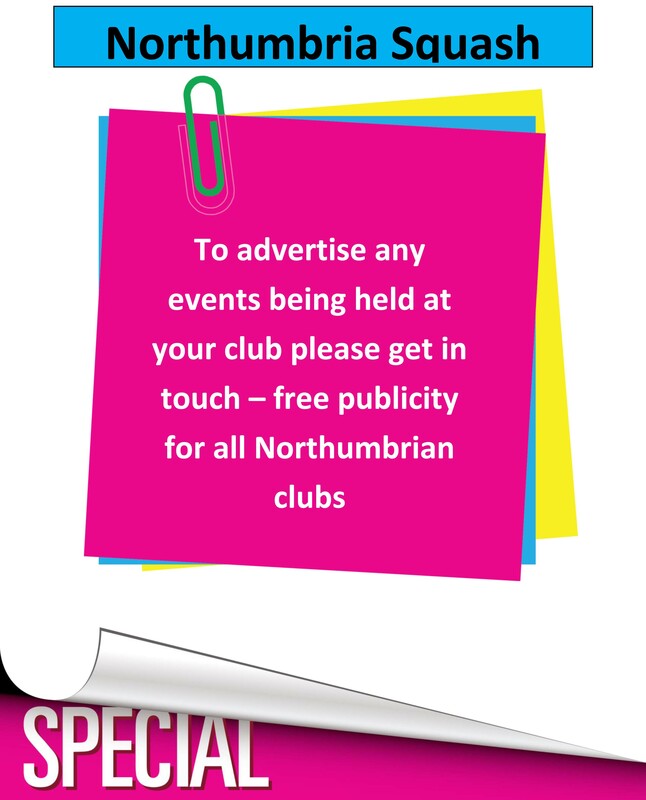 But believe this – Northumbrialand 2-0 up. Bryan was next up, playing Surree’s tricky No.1 Chris Harland. Bryan had been speaking particularly posh on the way down, so we knew he was going to be in top form. He always brings an hour’s worth of “1980’s form” with him to these oldie events, which he had frozen at Gateshead’s Cryogenics Lab in 1984 in exchange for his space invaders machine. Beeston proceeded to hammer poor Chris in the 1st 2 games. Wounded but not yet out, Harland made a spirited effort in the 3rd but Bryan finished strong at 15-13. The ‘Hammer of Beeston’ had delivered again. Evans went on court last at No. 2, and even though the match was already in the bag, he still unleashed his trademark top spin tennis thingy drops onto his unsuspecting opponent. Jonathon ran out a comfortable 3-0 winner and deserved the protein shake, glucose drink, Alpen bar, banana fritters and Ibuprofen muffin he has to replenish his squash riddled body after every match. Match to Northumbrialand 5-0! Brilliant. Time for a lie down and a Werthers original before Sundays final. In the other semi final which I didn’t really watch coz they were all foreigners, A-von beat Lancashire, so preventing Northumbrialand getting their own back on Lankashire after last year where they lost by a whole point. Millingston was on 1st, – and an ‘entertaining’ battle it was too. There were lots of interesting exchanges – words, pushes, blocks – but no kisses. Millingston hurt his back in the 1st game after a particularly hefty collision. This hampered his movement a lot, and cost him the 1st game. But he battled on hard and took the next game with the loss of only 5 points, which we found later behind the court. The next 2 games were extremely close but the A-von guy dug in and took them to 13 & 14. So close. If they play again next year, it might be best to just take one side of the court each! Match to A-von, 0-1. Due to a ladies match on our other court being delayed, the No. 1’s went on next. Bryan was up against Mike Martin, who I think was a distant brother of the Australian Rodney Martin. 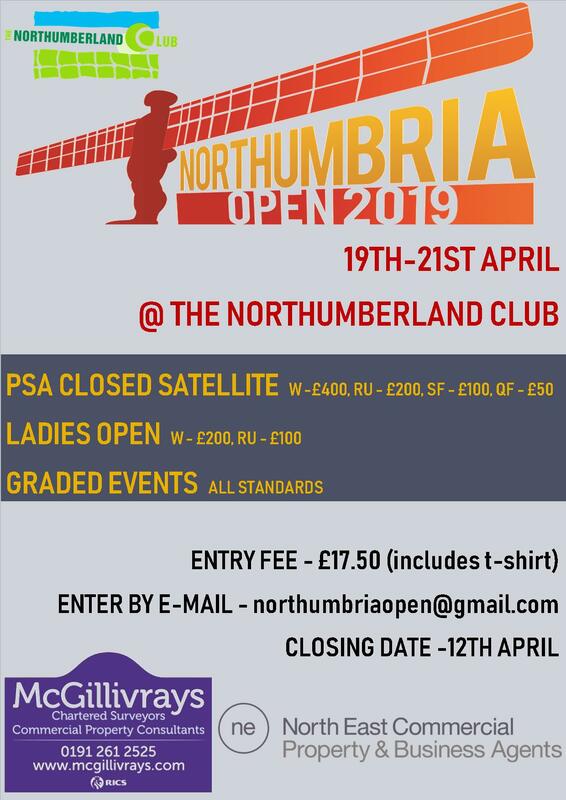 Once again Beeston went into top pummelling gear, and unleashed a performance similar to the way he played when he won internal league 3 at Squash Newcastle where he beat me and Lenny Lob on the same night. But to be fair, I’d just had my spine replaced and Lenny played the whole match on a skateboard, so he wasn’t that good really was he. But he was today and Bryan came out a 3-0 winner. We had him drugs tested again straight after the match, as we always do, and although we found 2 sparklers and an “I Love Low Fell” badge, he was cleared. Match now 1-1. We played Peter Slaughtered at 5 instead of Ronnie because after 1 match Ronnie runs out of new words to put after “ I don’t believe….”. And Peter delivered in true Ronnie style. His opponent Paul Gaffney was crafty but no match for Peter’s unusually controlled and steady squash. We think Peter actually knew where the ball was going here. He craftfully moved Gaffney around the court, a bit like he did when his machine “Bleurb” beat Tommy Brash’s “Streyts” in the Ashington vs. Newbiggin Robot Wars in 1978, – and took a 3-0 win. After winning, Peter said to the watching crowd “something’. Match at 2-1. Ward was on the other court by now, even though the women’s match hadn’t finished and they were playing around them. Determined that his opponent Roger Green couldn’t settle into ‘playing squash’ Ward displayed all the car boot sale shots that is one of the reasons the sport isn’t in the Olympics and could actually close the sport down, and forced Roger into a 3-0 submission. Over and out A-von. Match at 3-1. Championship won. And so it was left to Jonathon to seal the deal and bring the match home, which he did in true Evans style. He had played his opponent Jeremy Goulding many times before and had rough n tough matches. But Jonathon was in no mood for that this time, and despite losing the 3rd game, his top spin befuddles and side swipe confusions drove him to a 3-1 victory. Well steered home Jonathon. And so after some close calls in previous years, the old 55’s have at last won the National title. They had some great support from Paul’s twin half wife Jill, and Wards half step others Doorn and Samanthony. That made a huge difference to the lads, shouting ‘ Gan on” , “Bray it” and “ what’s gannin on ref” at frankly inappropriate moments. But it was after 1 pm and so they were pretty hammered by now. Well Done to all, and I’m looking forward to next year already – I might even challenge one of you for your place once I find me Dunlop Maxply Light, UniRoyals and Kappa shell suit!